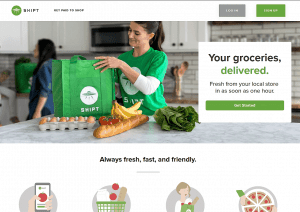 Shipt Grocery Delivery Service Review: Is It Worth the Expense? Some people consider going to the supermarket to be part of the drudgery of everyday life. 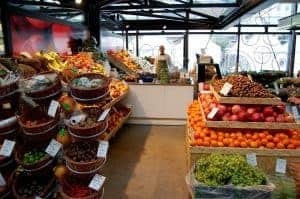 In this Internet age, however, several services have sprung up where someone will actually go to the store and shop for you, delivering your groceries to your door. One such service is Shipt. Here’s my take on it, after about a year of use. What Is the Shipt Grocery Delivery Service? It’s a service available via an app or website whereby they will send someone to local supermarkets and liquor stores to shop for you. They can deliver as soon as the same day (up to 11:00 PM here in Miami), with about 4 hours’ notice. At least in my area, you can also get groceries delivered by using Amazon Prime Now or Instacart. You first become a member, paying either $99 per year or $14 per month. They told me over the phone that, if you become a yearly member and then cancel, you get a prorated refund of the yearly fee. I believe this membership fee includes unlimited deliveries, so long as you meet the order minimum ($35 in my area). (However, alcohol delivery is extra). So, if you get the yearly membership, that is $8.25 per month. You have the option of tipping, which generally adds up to $5 per supermarket delivery. When you order, you see the supermarket’s inventory, including items on sale. You can search for whatever you want, and put it in your virtual shopping cart. If you do not see something you want, you can write it in as a special request. So, you choose everything you want, write in any special requests, choose a delivery time (same day or next day), and check out. You can pay by credit card. A few hours before your delivery, someone from Shipt will go to the store for you and shop your order. 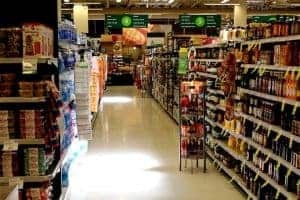 You will usually get a call or text (depending on your preferences), letting you know that the shopper is at the store. If they have everything you wanted, the next communication will usually be to tell you that they are on the way to your home. However, if something is unavailable or the shopper has questions, they will call or text you, from the store, to get instructions. Once the shopper is done, they’ll let you know they’re on the way to your house, and will soon show up and deliver your groceries. After your Shipt grocery delivery, you check that you got the right stuff, and give your shopper a rating (1-5 stars), as well as a tip of your choice. If they got something wrong, you mark it on your list on the website or app, and you will usually get a refund (but still keep whatever was delivered). My wife and I have used Shipt dozens of times in Miami, and are happy annual members. However, it has its “tricks”, as well as its pros and cons. Great price ($8.25 per month if you pay it annually). Excellent customer service. If you say something was wrong, Shipt will refund you the money pretty much every time, no questions asked. Feedback system (you rate and tip your shoppers, which seems to reward good ones and weed out bad ones). Limited store selection (here in Miami, Shipt only delivers from Publix and ABC Fine Wine & Spirits, at least in my part of Miami. No Winn-Dixie, Costco, Walmart, or Aldi). Therefore, unless you shop exclusively at the Shipt stores, you’ll still have to shop in person every so often. They sometimes mess up. About 25% of the time they will bring a wrong item, in my experience. You’ll get refunded, but it can still be a hassle if it was the last ingredient in your grand recipe. Sometimes what you want simply isn’t available at the supermarket, and it can be hard to choose a replacement on the phone. Amazon Prime Now is probably cheaper. Use Shipt with a flexible mindset, in terms of mentally preparing for the possibility of not getting something you ordered (so be careful if you absolutely need something on your list). 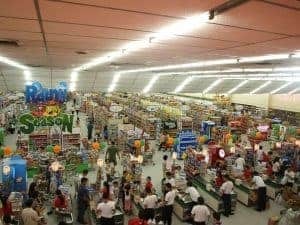 Don’t be discouraged if you know that the supermarket carries a product but it’s not on the website. Just special order it, but use a detailed description, with brand name, name of the product, and weight/size. Use ALL CAPS if necessary. Only use alcohol delivery in case of emergency, since it costs extra. If you order alcohol, have your ID ready when they come to the door, since they sometimes ask for it. Bear in mind that the higher item prices (vs shopping in-store) can be somewhat compensated by the fact that they usually refund you when you get a wrong item, but you still get to keep the item. In my experience, this happens every 3 or 4 orders (you get a free item or two). As long as you are a bit flexible about getting absolutely everything on your list, the Shipt grocery delivery service is a great option that is well worth the annual fee. However, since the prices are higher than in-store, I recommend using it on a limited basis, and not for large orders. For those, I suggest going to Walmart or ALDI, and/or even getting Costco non-perishables delivered via Google Express. What do you think about the Shipt grocery delivery service, and/or using a grocery delivery app in general? At that price, I agree that it doesn’t seem worth it. We’re still Shipt subscribers, but we use it mainly to “top off” items that we either forgot to buy or ran out of, or need quickly. Still, we use it about 2-3 times per month. Overall, we get most of our stuff from a combination of Costco (via Google Express), ALDI, Lucky Vitamin, Trader Joe’s, and the occasional trip to Publix. Have you ever used Instacart? It’s similar to shipt. Alos, I use Google express as well. Great service and no monthly fee. I use to use Amazon fresh for groceries but they stopped delivering. So I tried Jet to deliver groceries and now they no longer deliver. I wish there were more options, and better ones.